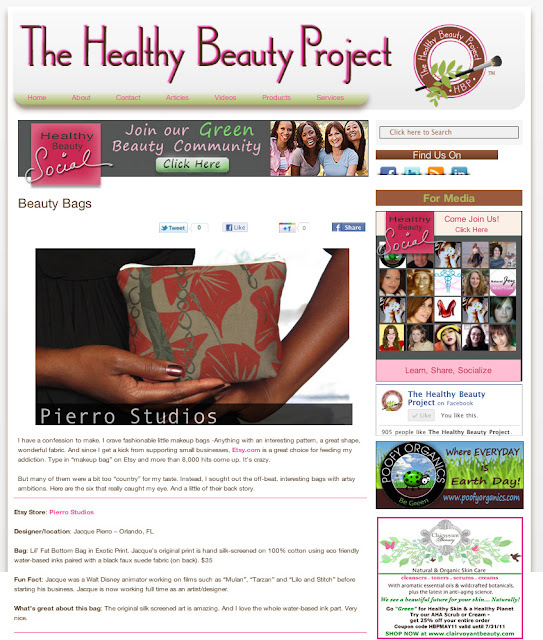 We'll we are very excited and honored here at Pierro Studios to be featured in the "Healthy Beauty Project" article that came out today. Thanks so much Todra, the photos and article came out beautifully! See the full article HERE! For future discounts and sales follow me on my FB. blog, twitter and website. The links are below, they're also all on my website.